Thus far I've outlined some fundamental ways that 'things can change' and some conditions that favor certain ways of changing. In this post I want to briefly discuss causality, in order to complete the basic groundwork for an ongoing exploration of the future. 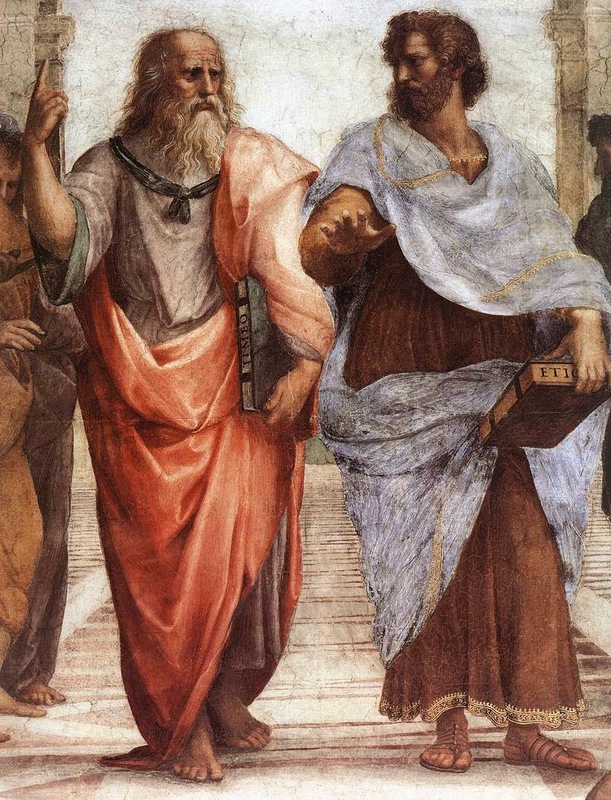 Aristotle listed four types of causality– Efficient, Material, Final and formal. I’m going to assume that the first three are familiar enough to people so I won’t provide much explanation. Efficient and Material Causation is the basis of modern logical positivism and provides the most fundamental assumptions for scientific explanations including the social sciences. These two ways of understanding why change propagates, have provided the primary foundations for the scientific understanding of the world and produced spectacular success in driving scientific and technological progress. However, there remains much to reality that is beyond the explanatory framework they provide. Simply put, efficient causation represents the effects that we see from the impact of applied energy/force. A simple example is the resulting behavior of billiard balls on a billiard table when someone strikes the cue ball against the racked set of billiard balls or the way chains of dominoes can fall in cascades when they are arranged in appropriate patterns and proximity. from or determined by the nature of the material involved. For example, the properties and mass of granite are significantly different from wood entailing correspondingly different causal consequences when they interact with other types of matter. 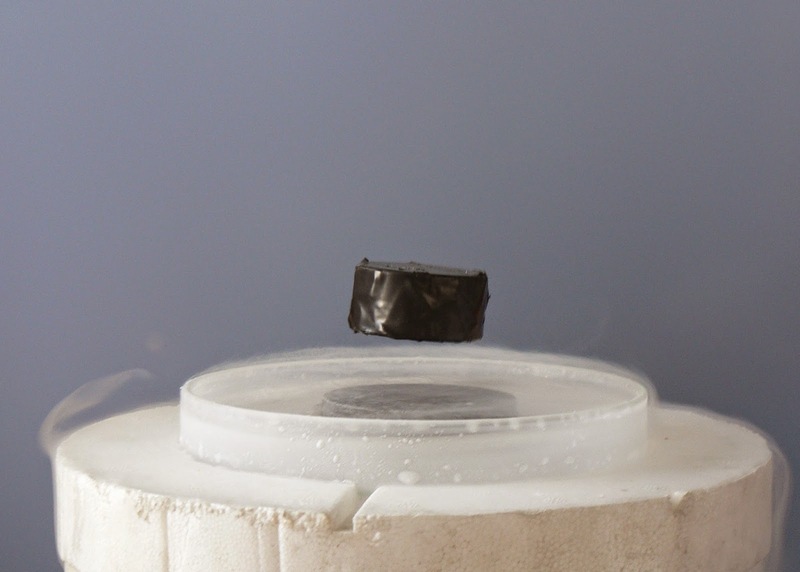 Materials sciences have made striking progress by understanding the basic properties of material by themselves and in combination. Final causation, relate to intentions and represents causal aspects arising from the aim or purpose being served when changes are set in motion. For example the final cause of the building of a sail boat might be sailing, or it might be simply wanting to own a sail boat. Although Aristotle may have said that the final cause of a ball at the top of a ramp, might be coming to rest at the bottom – we would now understand that as efficient cause. What very important to consider when engaged in foresight efforts is that people will change their plans and intentions in response to what they perceive. This so often is forgotten when we model trajectories of change and it is why it is so important to create various scenarios that can incorporate consequences of decisions and actions that are responses to the current and potentially future conditions. And in fact, we must be very careful in trying to apply assumptions of motivation to our visions of the future. The most classic fatal flaw is the concept of rational actor as applied to neo-classical economic models of forecasting and policy development. The fourth cause – Formal Cause – is more difficult to explain. However, formal cause may have a great deal to contribute to the ongoing development of complexity sciences and the understanding of 'emergence' as a type of unpredictable change. Formal cause also can contribute to an understanding of complex change that can take place on longer time scales. Some have defined formal cause the ‘essence’ of what it is to be something. A simple illustration of all four causes will help. Take a person making a statue. Efficient Cause explains the contact of the chisel with the marble. Material Cause is the marble itself. Final Cause is the end (the vision of the sculpture) that the person sculpting has in mind. Formal Cause would be the essence, idea or quality of what a statue is – it’s statueness. However, this particular meaning of formal cause seems insufficient today. 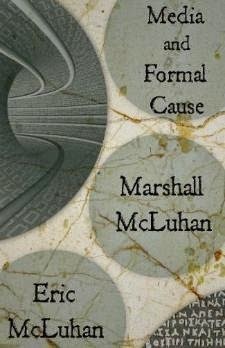 Marshall McLuhan noted that: “Formal cause is still… hugely mysterious. For the literate mind formal cause remains too paradoxical and irrational. It deals with environmental processes working outside of time”… that “effects precede causes”. For McLuhan, formal cause is like the “bright light of the future casting shadows on the present, from forthcoming events.” It remains invisible in the contextual, interactive, ‘ground’ of an event, yet enables unexplainable effects. Formal cause is made more difficult to perceive since all four types of causation work simultaneously and we have been educated and conditioned to think primarily in terms of efficient & material causation. We can only think of causes arising in the past and entailing a sort of ground up chain of effects. Stuart Kauffman has recently been exploring what he calls ‘formal cause laws’ as a means to develop better theoretical explanations of complex adaptive systems and emergence. Kauffman argues that when we are thinking about biological and evolutionary systems it is not possible to pre-state the niche boundary conditions. As Kauffman explains it, changes in the niche landscape do not ‘cause’ evolution but rather ‘enable’ it. Kauffman provides a simple example. It is easy to imagine the traditional causal network that would result in the development of the swim-bladder of a fish. The evolution of the swim bladder provides the fish with more fitness to compete and reproduce in its particular environment. However, when a microbe settles into the swim bladder turning it into a new niche environment there is no direct causal mechanism that set this in motion. The swim bladder ‘enabled’ an affordance or opportunity (or as Kaufman calls it an adjacent possible) for the microbe to seize. One could not predict that a microbe would create such a new niche - there was no sort of causal trajectory that would allow us to anticipate such an affordance. The bladder-as-niche was not within the pre-determined space where a trajectory between microbe and bladder could be calculated like billiard balls on a pool table. self-reproducing organism/organization cannot be reduced to traditional efficient or material cause entailing laws. Kauffman proposed that emergence of this sort, is based on ‘Formal Cause Laws.’ In this way Kauffman suggests that Formal Cause laws for a theory of Complex Adaptive Systems would arise from the ‘whole situation’ – whether it is an ensemble of random networks of chemical reactions or a growing economic ecology. Another way to imagine the working of Formal Causation is with an example of an attractor. While there are many types of attractors, they can be simply defined as a set of physical properties toward which a system tends to evolve and propagate, regardless of the starting conditions of the system. 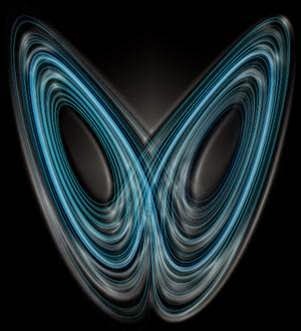 Attractors display recognizable trajectories which can be periodic or chaotic, and the only constraint they have to satisfy, is remaining on their particular pattern of trajectory. Manuel De Landa uses an example of the behavior of a soap bubble as shaped by an attractor. 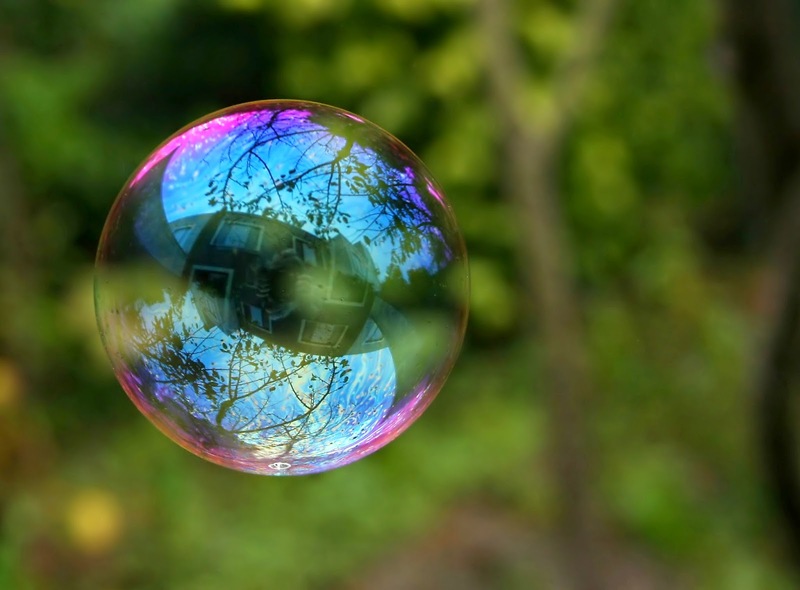 No matter what the initial shape of the bubble wand is – the bubble will tend toward a perfect sphere – depending on air currents. The explanation for this tendency is that the sphere minimizes the surface tension of the soap film. However the ‘cause’ is not surface tension as much as it emerges from the entire dynamic system of soap film, water, atmosphere pressure and other environmental influences. The attractor can be likened to the Formal Cause inherent in the whole situation that shapes the soap bubbles in a trajectory of ‘wanting’ to become perfect spheres. Kauffman believes that Formal Cause Laws are a new class of laws arising from the generic behaviors of large assemblages of systems that can provide a better foundation for understanding the sciences of complexity, emergence, evolution and even economics. I can't help but think that Hegel famous quote "the truth is the whole" (Preface, Phenomenology of Mind 81-82) is very suggestive, as is Whitehead. Every entity is to be understood in terms of the way it is interwoven with the rest of the universe. McLuhan, Marshall; McLuhan, Eric. 2011. “Media and Formal Cause”. Neopoiesis Press. Manuel Delanda. 2011. “Intensive and Topological Thinking” European Graduate School.